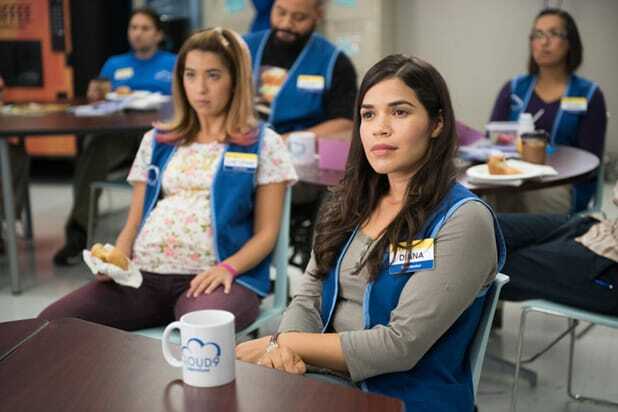 NBC will air special episodes of “Superstore” and “The Voice” during the Summer Olympics this August, giving the America Ferrera-led comedy and hit singing competition huge boosts ahead of their fall premieres. An original Olympics-themed episode of “Superstore” will air on Friday, Aug. 19, while a preview of “The Voice’s” audition episodes will air on Sunday, Aug. 21, following the closing ceremony. Both episodes will air at 10:30 p.m.
“The Voice” also has a big season ahead, with the newly announced preview coinciding with the high-profile judging debuts of pop stars Alicia Keys and Miley Cyrus. “The Olympics give us a unique chance to expose some of our strongest shows to millions of viewers who might not otherwise see them,” NBC Entertainment Chairman Robert Greenblatt said in a statement.